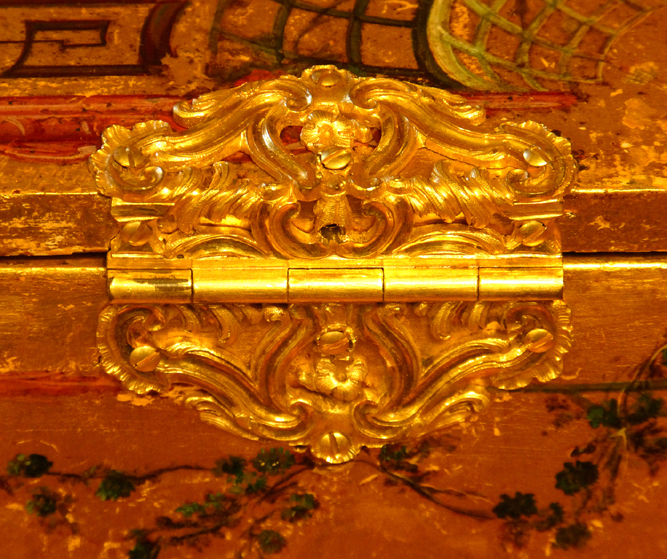 The lid hook, and lid-flap hinges and main lid hinges on the Franco-Flemish harpsichord. 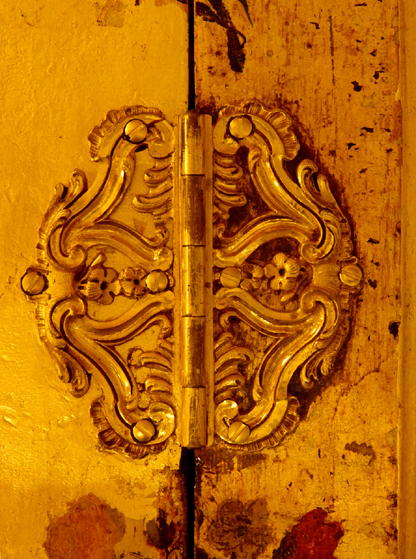 The exquisite mouldings and casting of the lid hook and of the lid and lid-flap hinges. 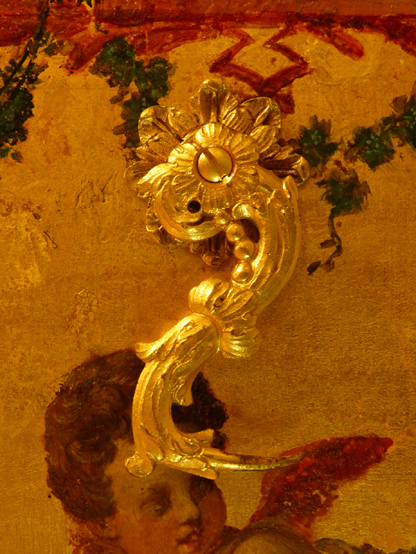 The brass of this hardware has been chased and fire gilt in a process known as ormolu. This has been cleaned in the present restoration, but not restored as this was felt to be un-necessary. There are no filled or unfilled holes under the hinges for any previous nails or screws, and this indicates that there have never been any previous hinges. These must therefore date from the 1750 ravalement, which was probably carried out by François-Étienne Blanchet.